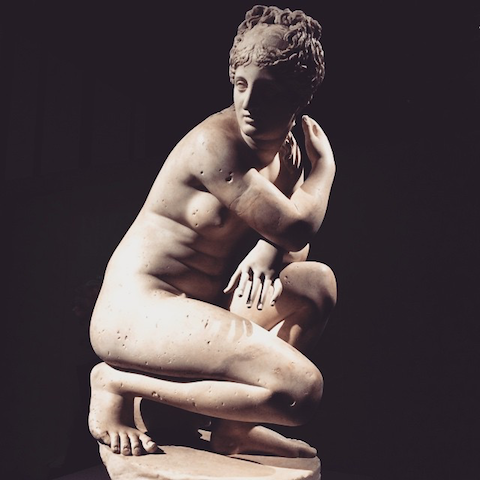 Greek art as seen through the eyes of a toddler: I took my nearly 3 year old to the Defining Beauty exhibition earlier this week. Earlier this week I dragged Snarfle down to the press preview of Defining Beauty, the new blockbuster exhibition from the British Museum. When we arrived the curator was giving a chat, a part I had hoped to avoid... but well, toddlers, it’s hard to get them moving, and the bus ride took forever. So we circumvented the first room, which showcased some stunning examples of Greek sculpture, including a bronze in near perfect condition that was apparently only recently dug out of the sea. 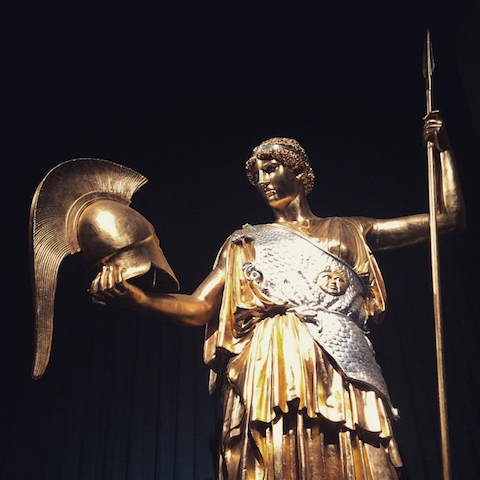 Golden goddess Athena at the new British Museum exhibition. Hackney based artist Rosie Emerson explains more about her techniques and inspiration in this exclusive interview. Catch her Sirens exhibition soon at the Hang Up Gallery. This beautifully presented display of Elizabethan and Jacobean jewellery is a must see for anyone who loves jewellery. My new pair of Crocs were perfect for our recent snowy weather: keeping me perfectly cosy on a trip to Kew Gardens to admire the David Nash sculptures. Outstanding work by graduates from Loughborough University and Leeds College of Art, plus other favourite finds. An incredibly interesting interview with Ornan Rotem of Sylph Editions, who has had a long and successful relationship with Kent based printers Principal Colour. A must read for anyone interested in high quality print design. Discover how an obsession with outer space led to this collaborative exhibition which commemorates both man and beast in space. It's on now, so catch it whilst you can! Festival Mode et Design Montreal kicked off on Wednesday 3rd August 2011 with an exclusive retrospective catwalk show put together by Jean Paul Gaultier to celebrate his exhibition at the Musee de Beaux-Arts de Montreal. It was amazing. A new exhibition represents some of the best in European landscape art from Switzerland and Norway in the 1800s. The Lunde Collection is on display in the Sunley Room at The National Gallery until September. The 'Values' exhibition by illustrator Zoë Barker is a reminder of how brand names change our idea of belonging. The subtle but punchy pencil drawings are now on display at the excellent Department of Coffee and Social Affairs.